Michael J. O’Neill concentrates his practice on catastrophic injury litigation including products liability, work site injuries, motor vehicle collisions, trucking crashes, premises liability, and medical malpractice litigation. Mr. O’Neill brings a unique and valuable perspective to the law practice at Messa & Associates, having spent a large portion of his career defending catastrophic injury, products liability, and trucking cases, as well as advising clients on risk management and other litigation issues. As a defense attorney, O’Neill successfully litigated multiple complex seven- and eight-figure disputes. This experience on the other side of the courtroom offers Messa & Associates, and in turn the firm’s clients, significant insight into the preparation of a defense and the ability to stay one step ahead through every phase of litigation. 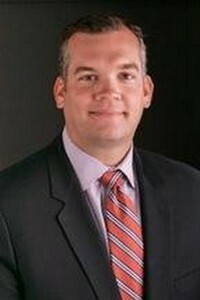 In addition to his impressive resume as a trial lawyer handling cases around the country, Mr. O’Neill is a veteran of the United States Army National Guard, an honors graduate of the U.S. Army Officer Candidate School, and an honors graduate of the U.S. Army Aviation and Warfighting Center. Mr. O’Neill also completed Aircraft Qualification Courses for numerous utility military helicopters and holds his civilian aviation license. Michael O’Neill obtained his undergraduate degree from the University of Scranton. After graduating from the U.S. Army and Warfighting Center, he obtained his juris doctor from the Villanova University School of Law in 1998. Mr. O’Neill is admitted to the Supreme Court of Pennsylvania, Supreme Court of New Jersey, and the Supreme Court of New York. He is also admitted in the US District Court for the Eastern District of Pennsylvania, Middle District of Pennsylvania, Western District of Pennsylvania, District of New Jersey, and the Northern District of Texas. In addition to his law practice, Mr. O’Neill holds an adjunct position with Villanova University teaching trial advocacy. He has also served as a member of the Temple American Inn of Court.